By B.L. Ochman . Published on August 29, 2012. It's hard to imagine a firestorm around something as benign as a ballpoint pen, but BIC for Her has just joined the ranks of brands punked by social media. Hundreds of women, and a few intrepid men, are having a wonderful time lambasting BIC on Amazon.com for its"thin barrel designed to fit a women's hand" that "has a diamond engraved barrel for an elegant and unique feminine style." Despite the fact that the buzz has been growing for weeks, the brand did not have the foresight to secure @BicForHer on Twitter, where a spoof account has already been launched, nor did they buy the URL www.bicforher.com, which is available for $12.99. A Tumblr blog is chronicling the funniest reviews and blog posts. An ad for BIC for Her launched last week, and is fast picking up derisive comments on YouTube. And through it all, BIC is silent. Judging by its clueless lack of response, BIC richly deserves its place in the annals of online brand goofs. A few cynics, such as Julian Long of 360i, speculated that the debacle must be planned, and engineered by an agency that would soon take credit. But the time for owning up to a joke has long passed and it's clear that BIC is simply clueless. Personally, I think the timing is perfectly attuned to the GOP Convention. 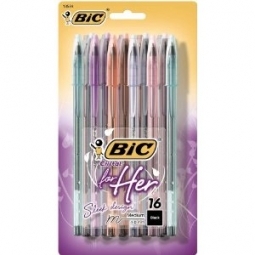 If BIC was really smart, its street teams would be handing lady pens out to all of the delegates, and, of course, sending special sparkly pink and purple BIC for Her pens to Mrs. Romney and Mrs. Ryan. "You see, when I as a woman hold a 'legitimate' pen (read, one made for him,) my body has a way of shutting that whole thing down. That's what my Congressman told me, anyway. But when I hold the delicate barrel, pleasing colors and small size of the BIC Cristal For Her Ball Pen, 1.0mm, Black, 16ct, everything works as God intended. BIC, you have answered my prayers, as well as all of the men in my life who know me better than I know myself. Thank you!" "This is an awesome, groundbreaking product, but a quick warning for the ladies (and gents who may TRY to use one)! Practice extreme caution when using the new "Bic for Her" pen. Word on the street is the ink has a heavy flow once a month and could stain. You're welcome." "I'm confused. I thought this would work like all the similar products I've bought in the past, but I keep urinating on it and it won't turn pink *OR* blue!" 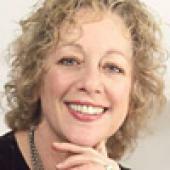 And one from a man "...As if men hadn't been stripped of everything good already, BIC steps in and piles on by encouraging women to learn to write, just like their male counterparts. WTF, BIC? Guys have so little as it is. Sure, we can stand while we urinate, but standing is a lot of work, and it's rarely as fun as it sounds. And Just For Men hair dye is marketed as a product strictly for guys, but my cousin used it on a female dog once, and it colored her hair just fine. In a world of girl-only bras and tampons, guys are left with nothing of our own. Thanks for nothing, BIC"